Trained as a labor doula and childbirth educator by Birth Arts International, Michele specializes in bereavement work and has served dozens of couples in the tristate area through miscarriage, poor prenatal diagnosis, perinatal death and stillbirth, and neonatal loss. A mother of eight, her oldest three children died due to second-trimester prematurity and two of her children spent nine weeks in a level 3 Neonatal Intensive Care Unit after second-trimester deliveries; she has also suffered six first-trimester miscarriages. She has experience with cervical incompetence; bedrest, TVC, and TAC support; Cesarean recovery; and postpartum depression assistance. Michele is also certified to teach mediation and yoga through Aura Yoga, with additional certifications for prenatal & postnatal yoga. In union with her husband, she has taught Pre-Cana and marriage support programs. 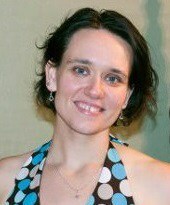 She is a runner, homeschooler, and author. Limited onsite visits outside of the Midatlantic Region available with full travel and lodging expenses covered also available.